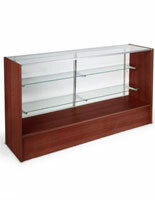 This display fixture is an excellent way to display jewelry and collectibles, and it can also serve as an area for displaying impulse-buy items. 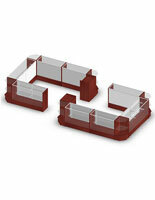 By displaying additional items where checkout transactions take place, customers will be more likely to purchase these items on an impulse. 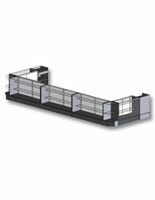 Maximize sales with retail checkout counters or other display fixture units. 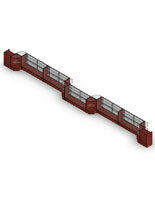 This display fixture consists of two 24" checkout counters, two 48" display counters, three 72" retail display cases and two corner sales counters. 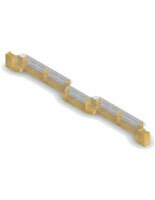 We sell this display fixture complete with register stands for easy store display purchasing. 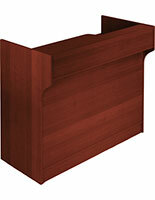 Stylish in appearance, this display fixture features cherry melamine and tempered glass panels with a brushed aluminum frame to bring it all together. 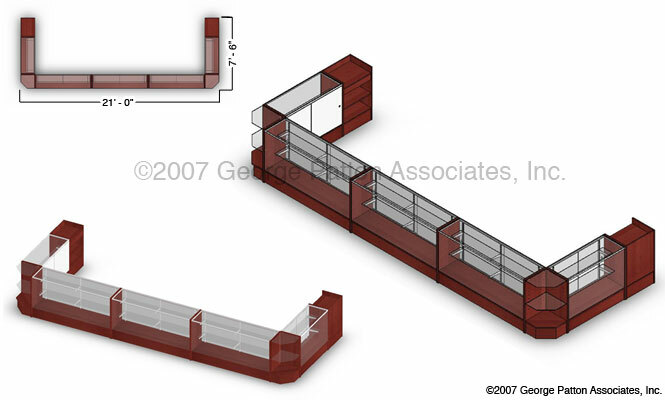 With such a retail display counter as this display fixture, you'll have plenty of room to display all of your merchandise. 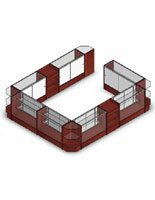 You can combine this display fixture with other display counters, store fixtures and wrap counters, or use it by itself. 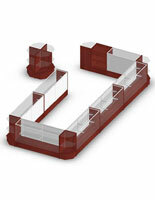 This display fixture is sure to draw customer attention no matter how it is used.